The 1970s saw the rise of “musically ambitious bands” that wanted to be taken seriously as professionals. However, many of these bands began to parse out into separate specialized styles. Corporate conglomerates also arose in this period. Popular rock began to go to the FM band following that trend in San Francisco during the Psychedelia years. An idea emerged that an artist had a responsibility to create sophisticated music with the cleanest sound and not do the same thing over and over again. Blues Rock in Britain was interestingly enough influenced heavily by American Blues and Chess Records recordings in the 1950s. There was an appreciation of the authenticity implicit in the music of Muddy Waters and Howlin’ Wolf. Some representative examples include Led Zeppelin (a mix of blues, folk, and psychedelia,) Deep Purple (Ritchie Blackmore as a truly virtuoso guitarist who would go on to heavily influence 1980s heavy metal,) and Black Sabbath. On the American side, they were ironically influenced by British pioneers when it came to Blues Rock/Southern Rock. Representative examples include the Allman Brothers Band, Lynyrd Skynyrd, Charlie Daniels Band, and Marshall Tucker Band. Beyond the Southeast, also important to note ZZ Top, Santana, Steppenwolf, Three Dog Night, Grand Funk Railroad, and Aerosmith. Progressive Rock was the new style most consistent with the values of the hippie aesthetic- a push toward accomplishment and ambition. Concept albums huge as well as philosophical lyrics. “Proto-prog” is a term for those albums or artists that pre-empted progressive rock (i.e., Procol Harum, The Moody Blues, The Who.) Representative examples include King Crimson, Emerson Lake & Palmer, Jethro Tull, Yes, Genesis and Pink Floyd’s later years. Theatrical Rock came to prominence in this period as well, with the idea of perfromance enriching rock with make-up and costumes. 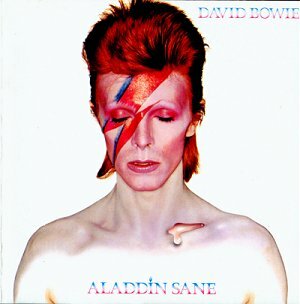 The David Bowie Ziggy Stardust years are perhaps the best example of this, Bowie being a British glam star portraying himself as androgynous- this played a role in the reception of his music. Alice Cooper took theatrical rock a completely different direction with his shows including death on stage, light displays reminiscent of psychedelia. KISS mastered the art of pyrotechnics simultaneously. As a side note, these three artists are certainly not lumped into one genre but rather work well as examples of performance-image driven trends of the mid-70s. The singer-songwriter tradition coined by Dylan continues with songs featuring acoustic guitars, pianos, and more importantly a lack of synthesizers/melotrons/etc. James Taylor, Carole King (the same King that was a songwriter in the Brill Building,) Paul Simon, Carly Simon, Harry Chapin, Don McLean, and Jim Croce. On the British side, Van Morrison, Cat Stevens, Elton John. And from Canada, Joni Mitchell and Neil Young. Country rock also emerged as a distinct style. Roots in The Byrds, The Band, Dylan’s work on Nashville Skyline. More song-oriented reaction against the excess of psychedelic music. Best examples: Creedence Clearwater Revival and The Eagles. Note: I know the Zeppelin songs are from a cover band- we will play the real ones for the tournament. Just wanted to switch back to Spotify for this round of song releases. This entry was posted in Music, Music Tournament and tagged 1970s rock, blues rock, jazz rock, Living the Dream, Most Influential Rock Song, Music Tournament, Prog Rock, southern rock, theatrical rock. Bookmark the permalink.